Lirik Lagu "The Boy Who Cried Wolf" dari Passenger. Lagu ini diciptakan oleh Michael Rosenberg dan ada di dalam album The Boy who Cried Wolf yang didistribusikan oleh label Black Crow Records. Berikut cuplikan teks lagunya "Well I am the boy who cried wolf And I know I’ve lied in …". “The Boy Who Cried Wolf" merupakan single terbaru dari Passenger. 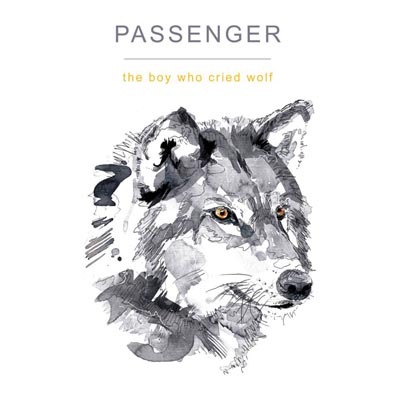 Berikut Lirik Lagu The Boy Who Cried Wolf yang dinyanyikan oleh Passenger. Semoga lagu tersebut bisa menghibur anda. Disclaimer : Blog ini tidak menyediakan link Download lagu Passenger - The Boy Who Cried Wolf mp3. All song lyrics on this website is copyright / property of the authors, artists, bands and music labels are concerned. all materials contained in this site including the lyrics of the song are for promotional and evaluation purposes only.